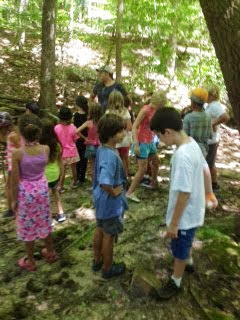 Forest Class: Welcome the 2013-2014 school year! There has been so much learning and fun happening in the Forest Class. I have so many photos to catch you up on from the beginning of this school year! Our Lower School theme this year is Inventioneering. 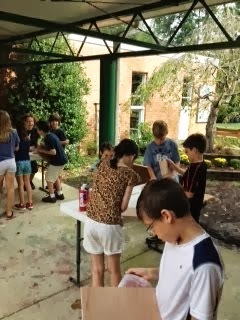 We began our project time by presenting cooperative groups with design and engineering challenges. Enjoy these photos of our work time along with other learning experiences from the last couple weeks. We are off to a great start! This group is trying to make a tower out spaghetti, masking tape, one marshmallow, and string. 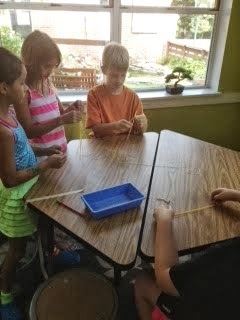 This group is trying to make a tower out of spaghetti noodles, masking tape, one marshmallow and string. Exploring the trails and creek around CFS. 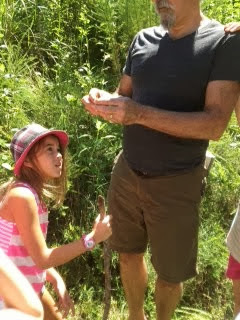 We found preying mantis on our hike. 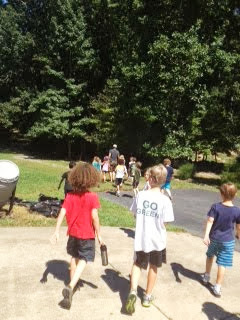 Heading out for the first hike of the year! 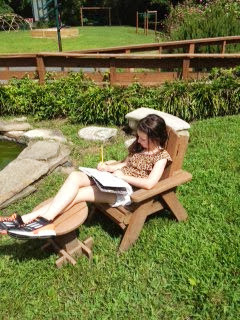 Enjoying some writing time in this beautiful weather. 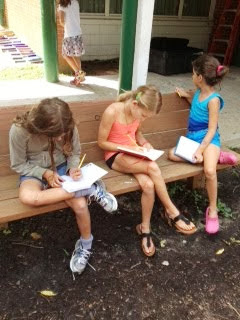 More Forest Class writers writing in their writer's notebooks or "best friends" as we like to call them. Working on our beginning of the year art project.